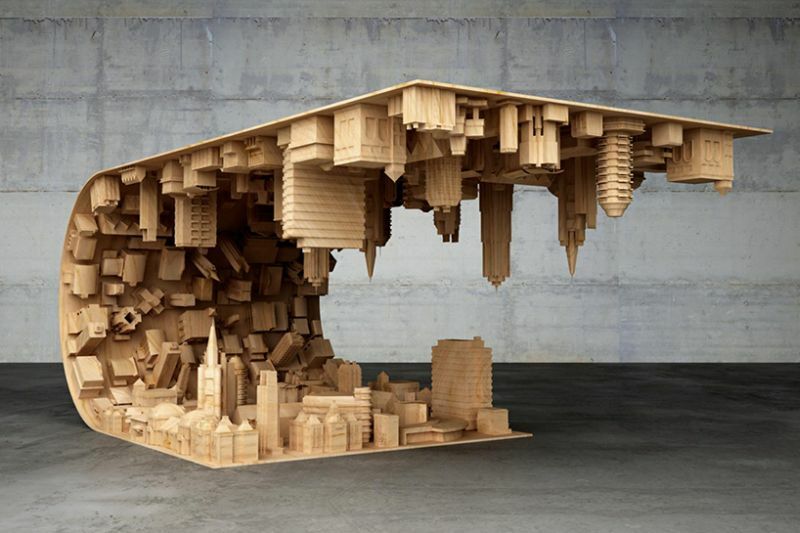 Being highly motivated by the film’s gripping scenario, Cyprus-based designer Stelio Mousarris has created the stunning coffee table that conceals 3D inverted cityscape in its C-shaped layout. 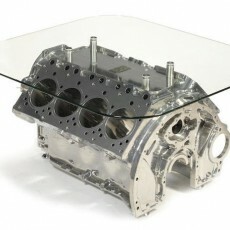 Of course, the table is not built out of mind material. 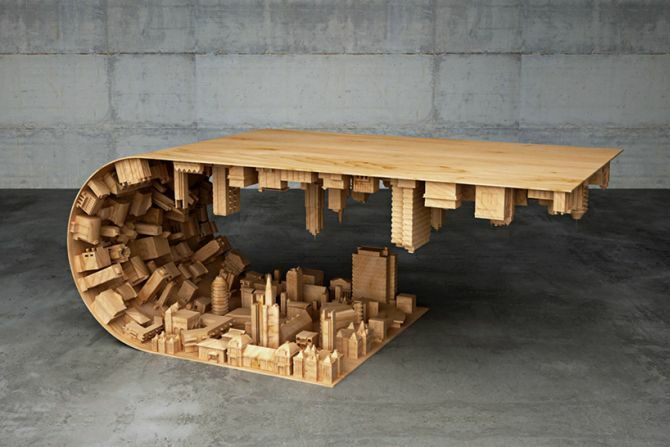 The designer started working on this tangible table at floor level, and finally curved the structure to form the table top, concealing inverted urban skyline. 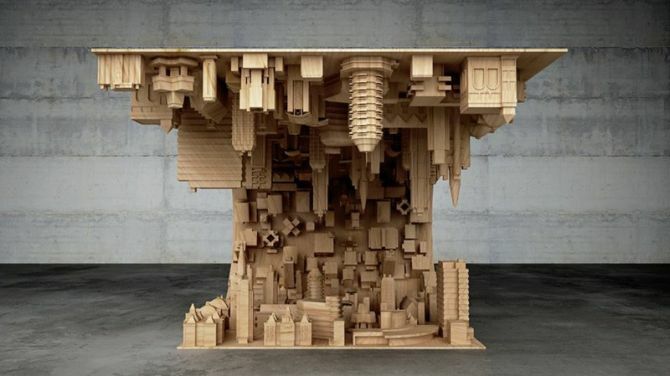 Inception-inspired coffee table is made from a combination of wood, steel and 3D printing technology that’s used for skyscrapers’ detailing and also to define the topsy-turvy cityscape. To make it more realistic, the carvings on each building is painstakingly detailed and scrupulous. 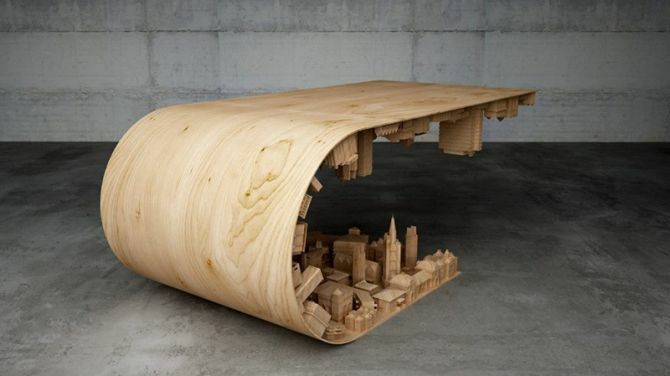 The coffee table seems surrealist and realistic at the same time. But you have to be careful and avoid sliding you feet under the table while sipping a cuppa joe. 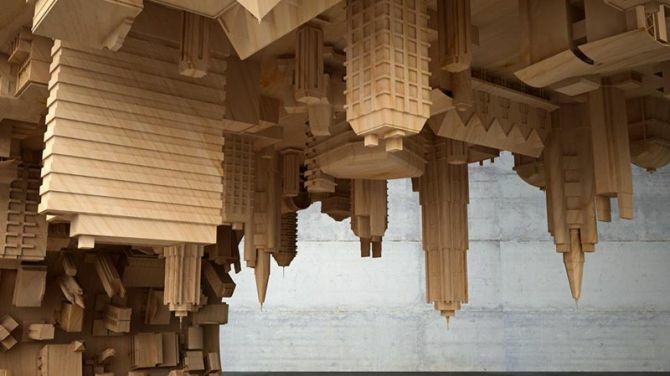 Or, you may knock off few 3D printed building models underneath. It’s really captivating to see how graciously the wooden table folds onto itself forming a beautiful arched structure. You can purchase this mind-bending coffee table for €4,000 (approx. US $4,300).